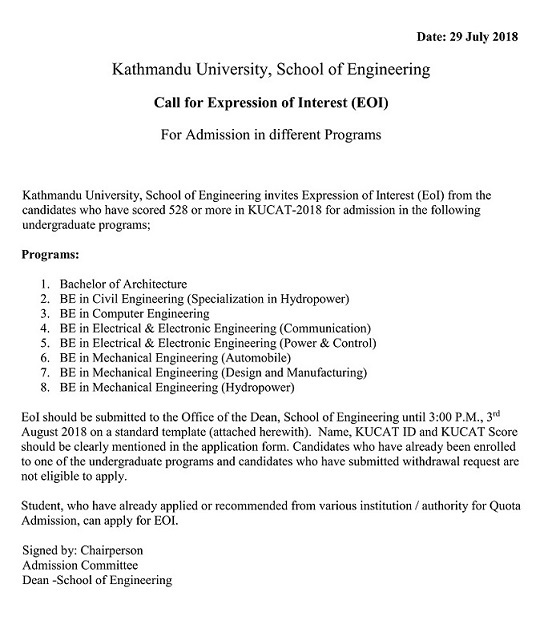 It is notified that the following applicants of Undergraduate Admission-2018 in the School of Engineering at Kathmandu University are selected for document verification and admission in the programs as indicated below. Selected applicants are required to contact concerned departments for document verification and admission from July 30, 2018 to August 3, 2018 between 10:30 AM to 3:00 PM. 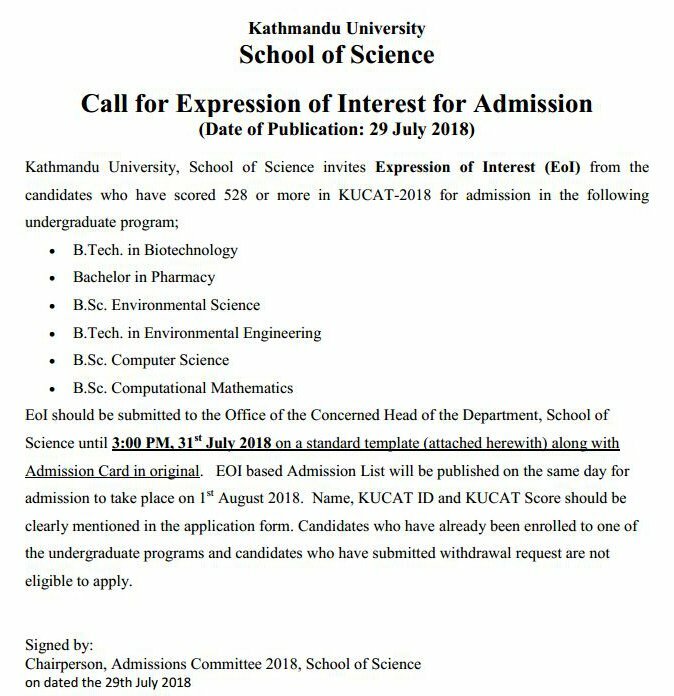 It is notified that the following applicant of Undergraduate Admission-2018 in the School of Science at Kathmandu University is selected for document verification and admission for B.Tech. in Biotechnology as indicated below. Selected applicant is required to contact concerned department for document verification and admission in the program as indicated below. Listed applicant is required to complete the admission process latest by 31st July 2018, 3 pm. The Capacity Building in Sustainability and Environmental Management (CapSEM) Project, which is funded by Erasmus+ Programme of the European Union, is organizing “Industry Case Presentations” of EU companies in the Netherlands, Norway and Portugal from 21-28 October, 2018. It will support the strengthening of the holistic perspective necessary for clear knowledge transfer between academia and local industry, and the implementation of sustainable practices in industry. These presentations will support case study learning, an important tool for presenting the holistic view on environmental issues. Kathmandu University, Department of Environmental Science and Engineering as a partner, is invited to send students to visit local case companies with implemented sustainability and EM strategies in program partner countries. The students can observe the operations and practices of these European companies directly, and take case-based knowledge back to their home country. The shortlisted students will be called for an interview.